Eastern Medicine: The Natural Answer to Longevity in Our Pets? Eastern Medicine, also called Traditional Chinese Veterinary Medicine (TCVM), has been practiced for thousands of years in the Eastern hemisphere. In recent years, however, it has gained popularity in the United States. More people have begun to rely on this type of medicine for themselves as well as their pets. Whether using it as sole treatment or in combination with Western Medicine, Eastern methods certainly have their place in the medical world. Eastern Medicine is founded on the Chinese principles of Taoism. 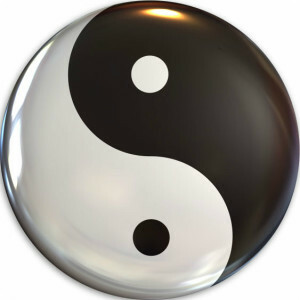 The fundamentals of Taoism revolve around balance: balance within the body, balance with others, balance with nutrition, and balance with nature. Five fundamental branches achieve this balance: Acupuncture, Herbal Therapy, Food Therapy, Tui-Na, and Qi-Gong. Veterinary medicine utilizes four of these branches to help our patients heal and maintain balance. Qi-Gong is a form of exercise and is not applied in the veterinary field.